For the start of football season, there was a feast. 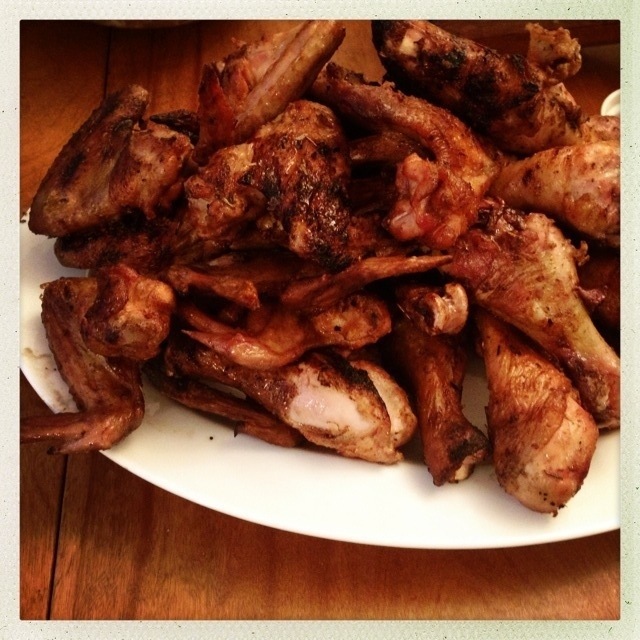 There were sides, but the focus was on the chicken wings and drumsticks grilled with one of Mr. MVP’s dry rubs (mustard, paprika, rosemary, wasabi). Worth noting: It’s organic and free-range chicken and it’s salted at least an hour before it’s grilled. Yum.